The 2019 Cheetah Run in Fota Wildlife Park organised by Eagle AC is coming up on Thursday the 16th of May at 8pm. 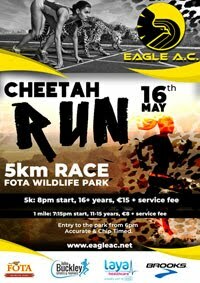 As well as there being the usual 5k race, there is also a one-mile race for juveniles (11-15 year olds). 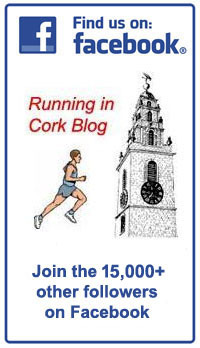 Entries for the 5k race open on Thursday the 18th of April at 10am. Please note that there will be no entries on the night of the race. 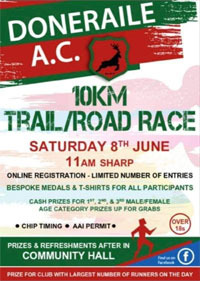 Please note that there is a limit of 900 entries for the 5k race. The lower age limit is 16 years old. 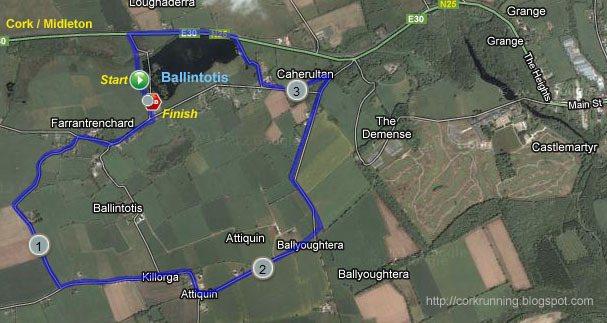 5k Course...Following the success of last three years, the same 5k route will be used again. This will take in all areas of the Wildlife Park including the new Asian Sanctuary. 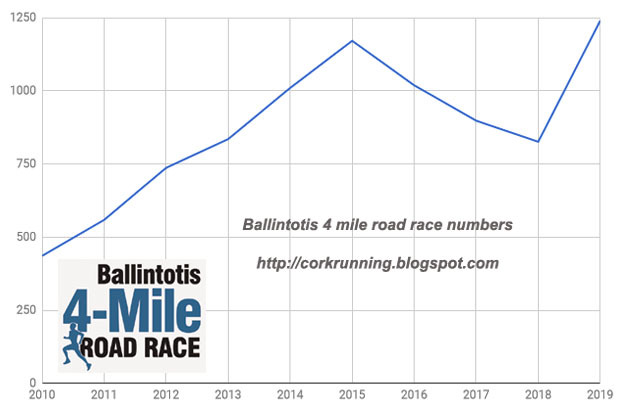 There was a huge turn out of 1240 runners for this years Ballintotis 4 mile road race, a new record! 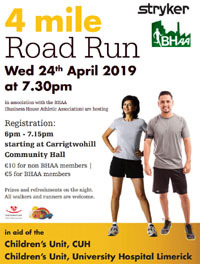 I had noticed that the race notice that I put up a few weeks back seemed to be getting a lot of hits but I certainly didn't expect the numbers on the night to be anywhere like 1200 plus. Medals.... The organisers had purchased 1200 medals for all finishers as it was 10th anniversary of event. As more than 1200 showed up, some people did not get a medal. 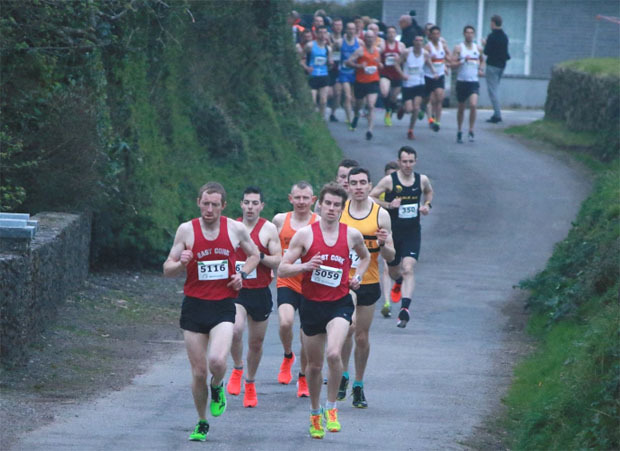 Race... As for the race, it looks like a clean sweep for the East Cork AC men with them taking the top three places. 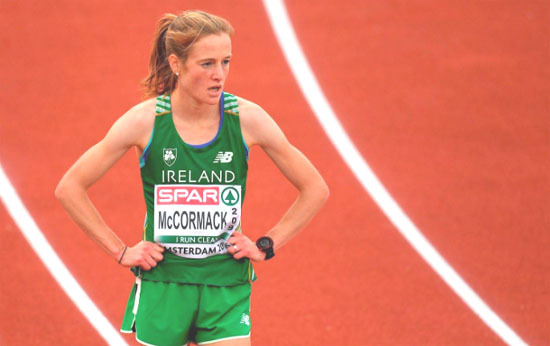 Fiona Santry of East Cork AC also retained her title. 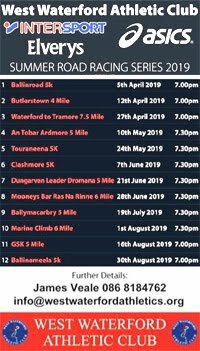 After a long winter of dark evenings, it's time to look ahead to the upcoming summer season of evening road races. 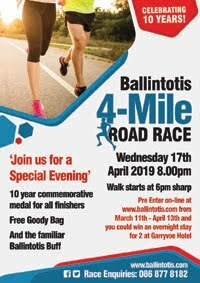 In Cork, the tradition was been that the Ballintotis 4 mile opens the summer season of evening races and the Ballycotton 5 at the end of August used to bring it to a close. 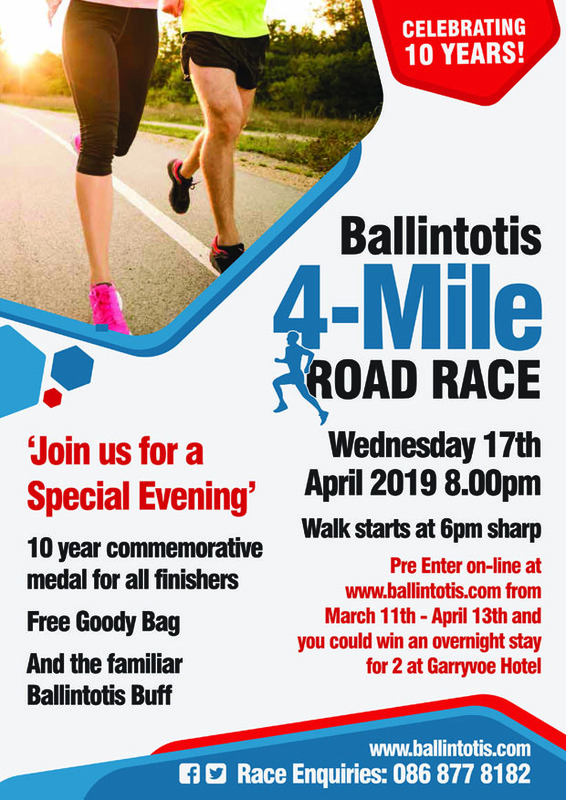 This year, the Ballintotis 4 mile will be held on Wednesday the 17th of April 2019 at 8pm. 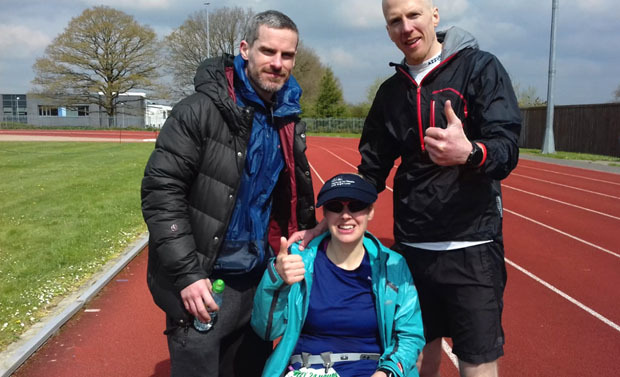 Cork and Youghal native Sinead Kane ran an amazing 204.621 kms at the Crawley 24 hour track race in the UK at the weekend. That's just over 127 miles! With those performance, Sinead finish 2nd Female and 6th overall. 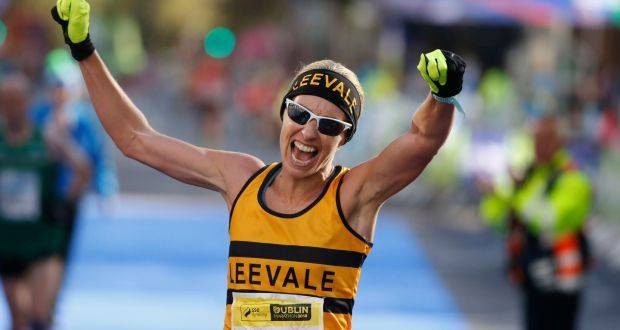 This is the International B Standard for Females (200Km) and to date, only 7 other Irish Female athletes have ever ran over 200Km. This puts Sinead 7th on the list based on performance. It may also possibly be the first time for a visually impaired athlete to achieve this standard. 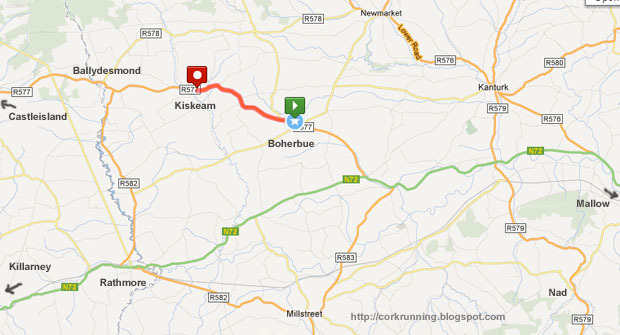 Alex O’Shea (Cork) was also competing in this race and finished 22nd with a distance of 139.6 kms. 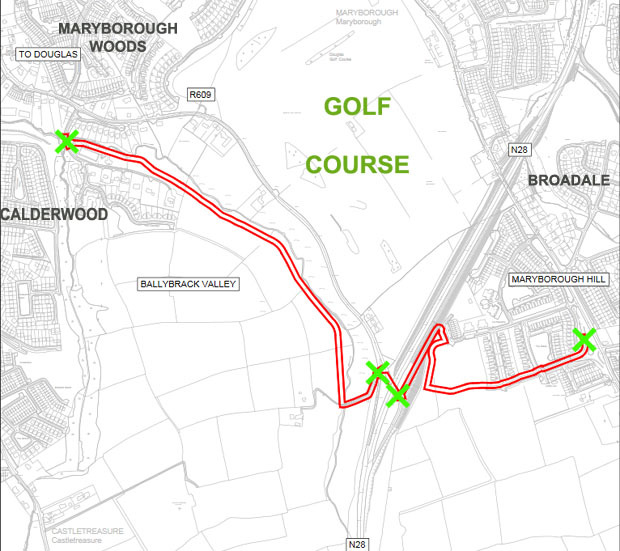 Update 16th April 2019 : Elected members of the Ballincollig-Carrigaline Municipal District gave their green light of support for the next extension of the Ballybrack pedestrian/cycling path at the April monthly meeting yesterday. The proposed extension now needs to go to full Council for final approval. Over the last few years, there have been some major improvements to the walkway and park in the Ballybrack Valley area to the south of Douglas in Cork City. I came across this planning notice recently which shows the next phase of the project which connect the existing Ballybrack walkway over to Maryborough Hill. Once this is complete, it will mean there are more route options for runners and walkers who want to get away from the busy roads. 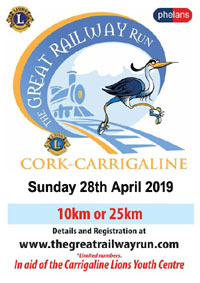 Looking ahead to next weekend, this one might be of interest to anyone west or north of Cork City, in Kerry or south and west Limerick. 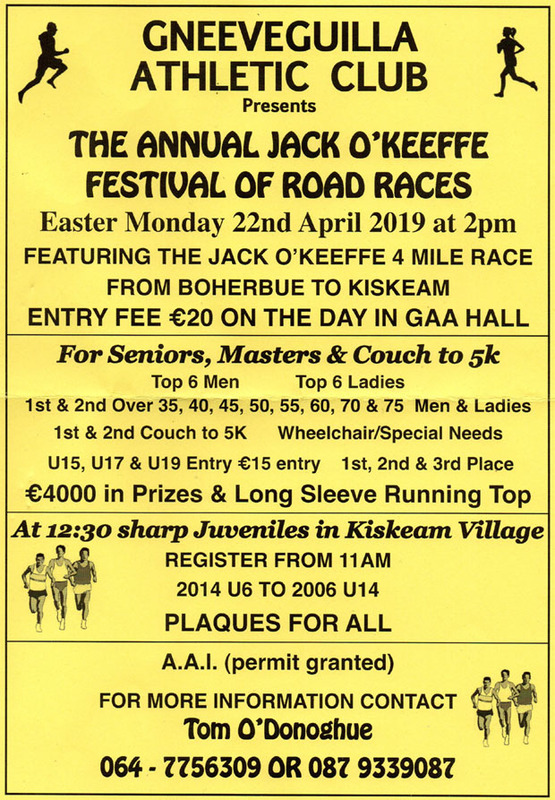 The Boherbue to Kiskeam 4 mile road race in NW Cork is coming up on Easter Monday, the 22nd of April 2019. Note that there is a long sleeved dry fit top for all runners this year. 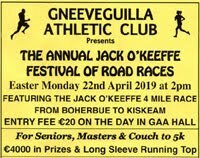 The race is being organised by Gneeveguilla AC, one of the largest athletic clubs in Kerry. The entry fee is €20 on the day and there is a large array of prizes on offer. These are usually in the form of vouchers for a local co-op and are pretty generous. There will be the usual refreshments of tea. coffee. sandwiches, etc afterwards as well. Fionnuala's previous best was 2:31:22. 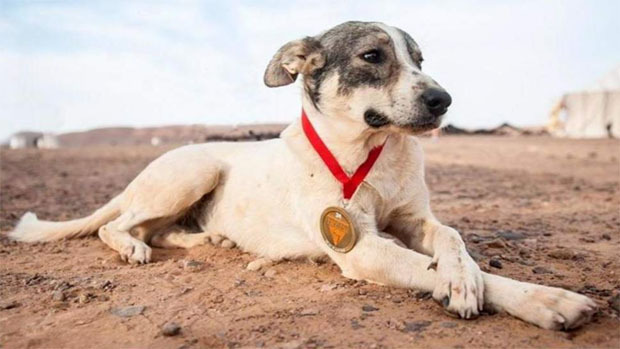 In the recent Marathon Des Sables ultra marathon in the Sahara, a local dog decided to join the 'fun' and ended up running more than 140 miles! Renowned as one of the toughest ultra races in the world, the Marathon Des Sables takes place over a 156 mile stretch of the Sahara Desert in Morocco. This year however, the hardened runners were joined by a local canine participant. After completing 140.7 miles, the dog which was nicknamed Cactus by the participants was awarded a finishers medal. 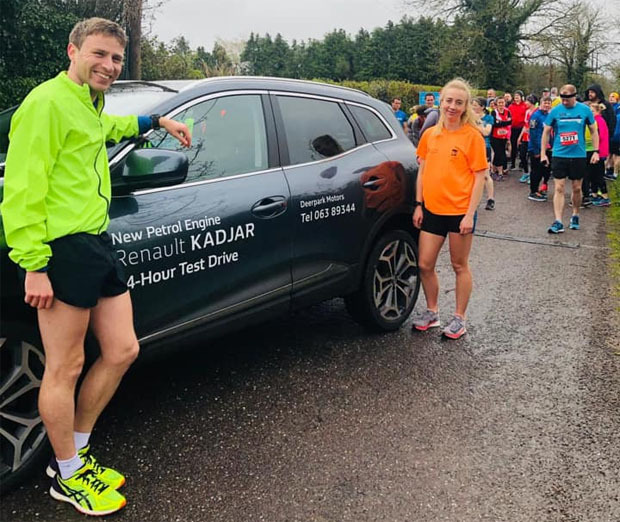 417 runners turned out in the wet and windy conditions for this years Karen Fenton Memorial 5k race in Ballinora. 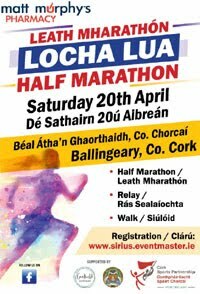 1 Nathan O'LEARY 00:16:37 1554 M (1) MJ (1) Leevale A.C.
3 Ryhan O'HALLORAN 00:17:29 1306 M (3) MS (2) St Finbarrs A.C.
11 Sorcha KEARNEY 00:19:05 1548 F (1) F40 (1) St Finbarrs A.C.
15 Annemarie POWER 00:19:58 1516 F (3) F45 (1) Eagle A.C.
After a long absence, the Dromina 10 mile road race was back on the race calendar again on Sunday the 14th of April. 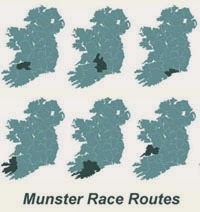 Conditions were somewhat wet and windy on what was a very busy day for races in Cork and Munster. 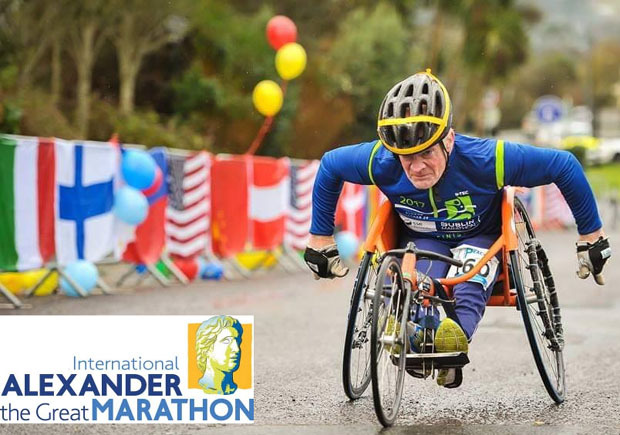 There were 168 finishers in the 10 mile and 93 in the 10k. 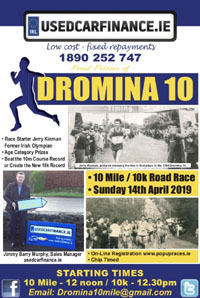 128 turned out for this 5k in Dromahane near Mallow, down about 10% on last year. Please note that the 5k on Spike Island on Saturday the 13th of April has been cancelled due to high winds. From the organisers...."Due to unexpected high winds in Cork harbour we are closed today. Sincere apologies to any visitors, all tickets will be refunded. 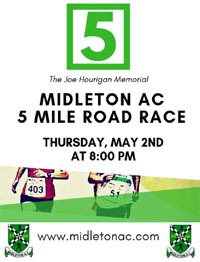 Our 5km is being moved to another date, runners can move to this date or avail of a refund." Conditions were cool, windy and dry for this weeks 5k parkrun in Ballincollig Regional Park with 301 taking part. New Outdoor Gym for Tramore Valley Park..